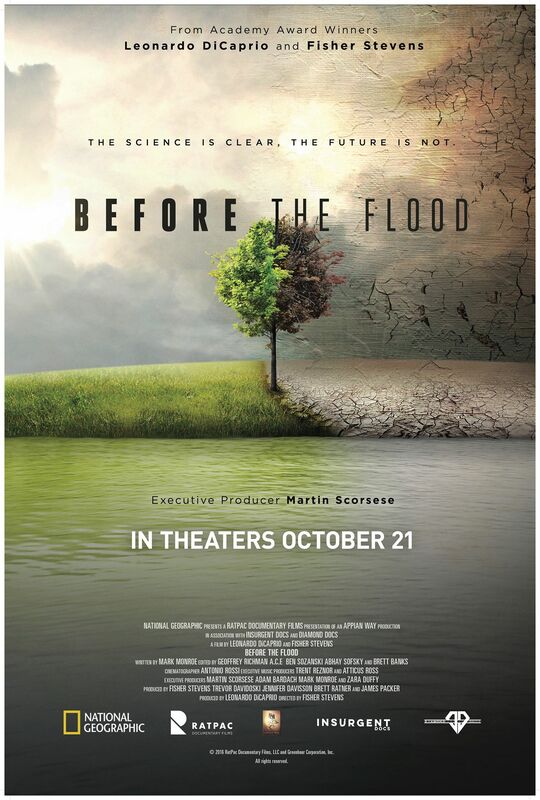 Review of DiCaprio's climate movie "Before the Flood"
As a trainee, presenter and mentor for Al Gore’s Climate Leadership team, I was struck by how closely the film, Before the Flood, follows Mr. Gore’s Climate Reality focus, in content, style and story. Presented in a powerful, yet simplified accessible manner climate changing reality is vividly portrayed by DiCaprio by visiting the places where it is most evident. Leonardo DiCaprio, the key talent, in this excellent film of discovery, produced by National Geographic, was trained by Al Gore to promote the reality and solutions humans could collectively adopt, in response to the overwhelming global evidence of human caused climate change. Mr. Gore’s climate leadership organization, developed in response to the strong climate change denier blow-back from the ground-breaking ‘Inconvenient Truth’ film, used residuals from a widespread audience for the film, to create a global climate communications and leadership development organization. To date, The Climate Reality Project has now trained over 15,000 educators, presenters, and professionals around the globe. Friends, please sit down with your family to watch this National Geographic film online—for free… If you care about our children’s welfare—a must see.